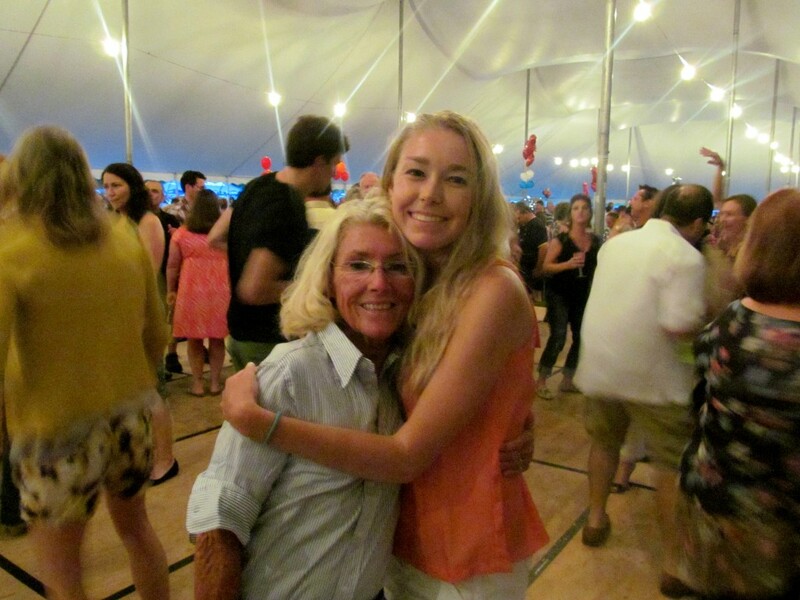 I can’t miss Glastonbury’s best event of the summer, our Rotary Club’s LobsterFest. So when my mom told me she and my dad were entertaining the idea of NOT going this year, I did not stand for it. All it took was some reminders of all the fun we’ve had under the big white tent in year’s past, and my dad was on my side and my mom outnumbered. We put out the call to some of our close family friends from Florida, I invited my good friend Jeff, and we were all ready to go with a table. Thankfully the weather improved drastically for Saturday and the sun was even out of most of the morning and afternoon to dry out the field after Friday’s monsoon. The hard-working Rotary Club volunteers were out all day in the rain on Friday setting up and getting the tent erected to keep the ground underneath as dry as possible. Thanks to the Glastonbury Rotary Club FB page for the video! As usual we came armed with an ample amount of apps. 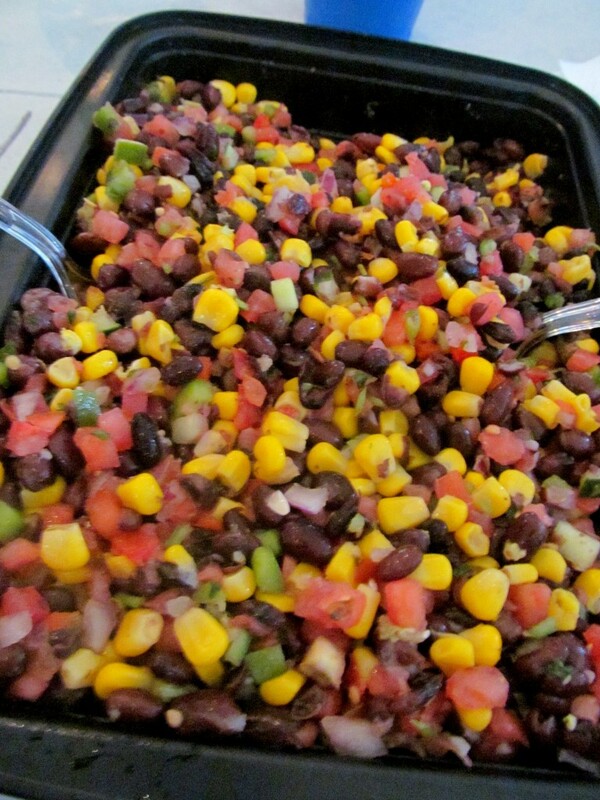 My mom’s famous black bean, corn, and pico medley! 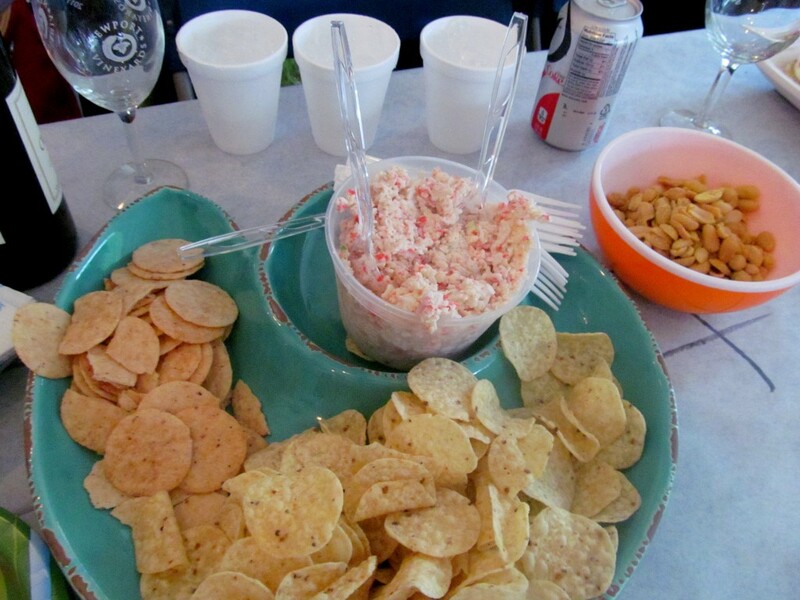 Highland Park Market crab salad, and honey mustard peanuts! I donated a box of my Blue Diamond Smokehouse Almond Nut-Thins (from Swanson Vitamins) for dipping material. Mrs. Pereda made to-die-for fresh mozz and tomato on olive-oil-rubbed toasts. The tomatoes were so fabulous and I couldn’t believe they were Stop & Shop! Jeff and I shared a bottle of a little-known offering from Relax – their Cool Red! Yup, they make wine other than the Riesling. 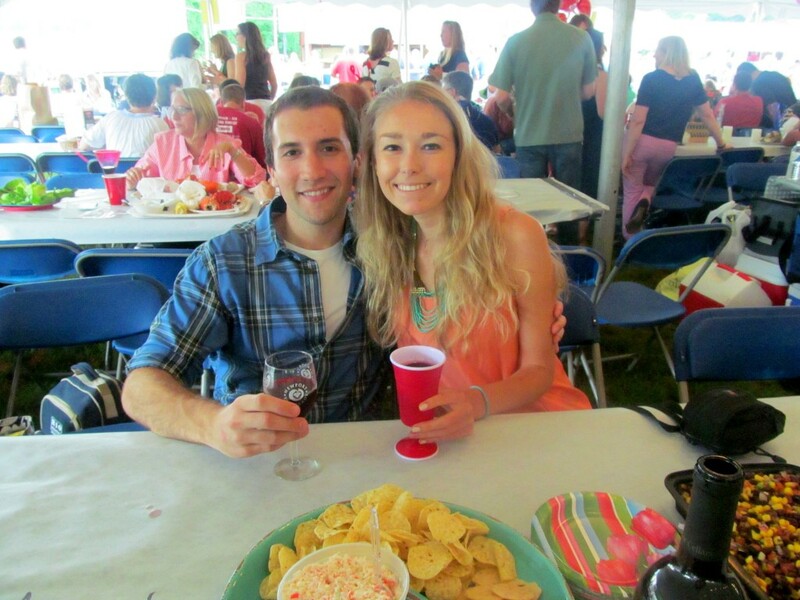 The chilled red was perfect for a summer event! I was expecting something sweeter with bubbles, but it was really just a light red wine that was to be served cold. Very refreshing and we killed the bottle! Of course I brought my wine glass solo cup! My ridiculous Lilly Pulitzer wine bottle koozie kept the red nice and chilled. Oddly enough, no one at our table opted for the lobster. Instead everyone got steak and we all enthusiastically agreed that it was MUCH better than last year. Not too many globs of fat, and not overcooked either. 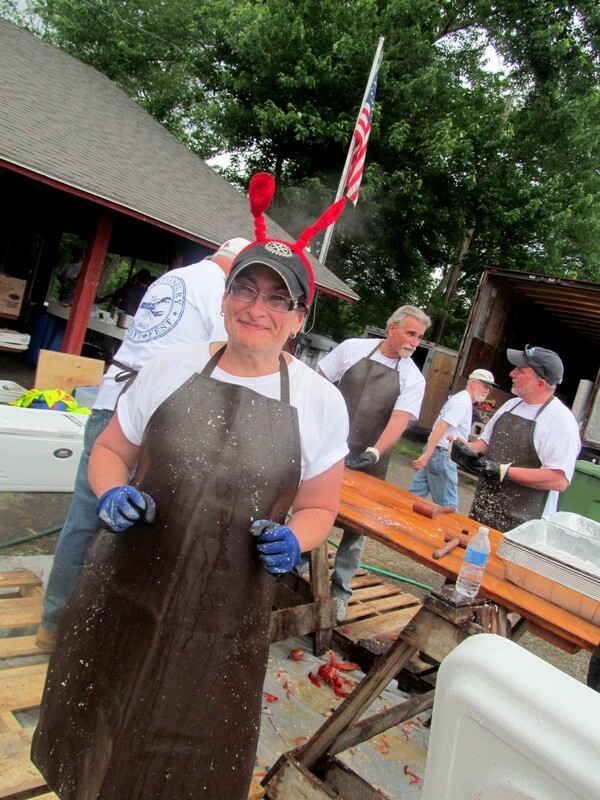 Some still rocked lobster bibs despite lack of lobster. 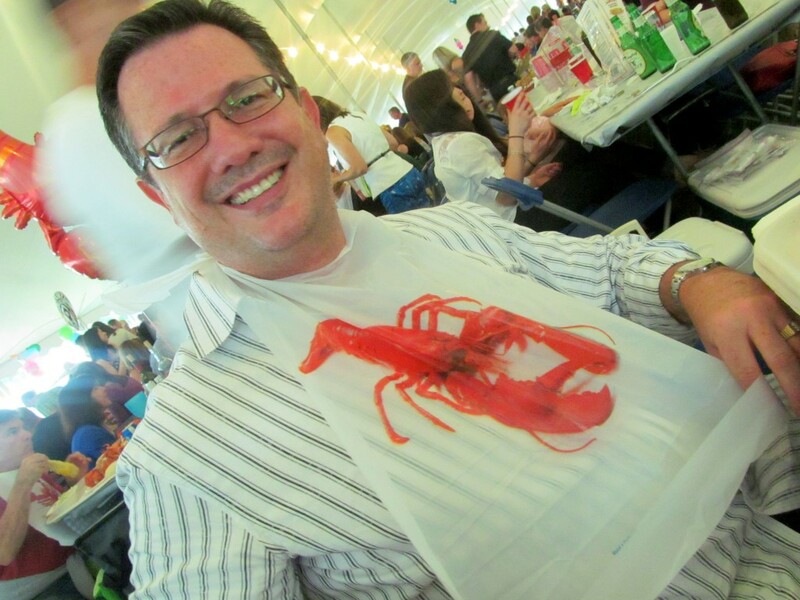 Mr. Pereda displays the catch-all at the bottom of the bib! I paid a visit to every lobster’s worst nightmare, Maria. She cracks the shells open and she means business. 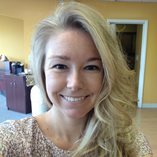 I met her in person for the first time at least year’s Lobsterfest, and have run into her a few times since at my favorite spots J. Gilbert’s and Daybreak Coffee Roasters, but we’re always in touch via Twitter and Facebook. This was after she’d already been hosed off several times! 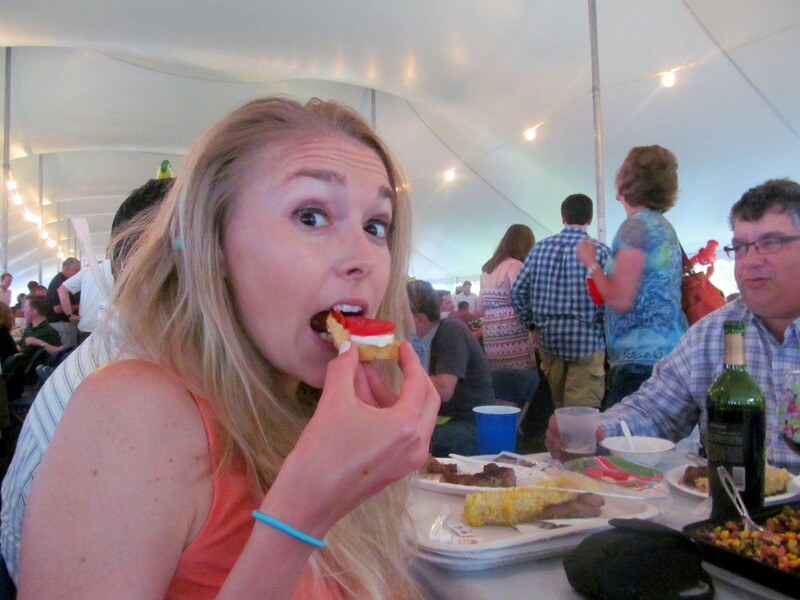 I didn’t get any shots of dessert but I certainly had my fair share, especially of Mrs. Pereda’s fantastic chocolate covered strawberries. I also had my fair share of TOO wide a variety of libations. Mr. Pereda brought some great-tasting margaritas, Mr. Andries brought a growler of tasty Maine-brewed craft beer, and I may or may not have taken two shots of Hennessey off an ice luge. 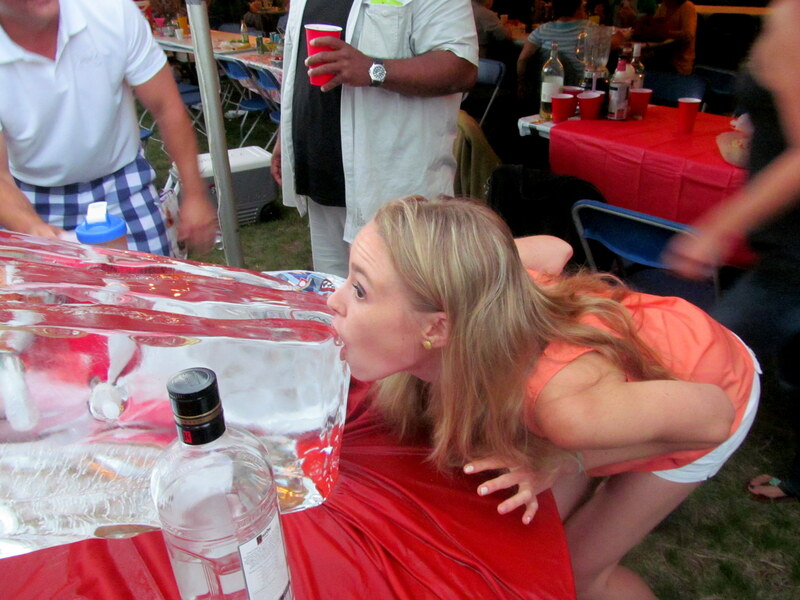 If anyone can make ice luge shots look awkward, it’s me. I wish I hadn’t mixed so many different drinks, because I started to hit a wall and my energy for dancing took a hit. 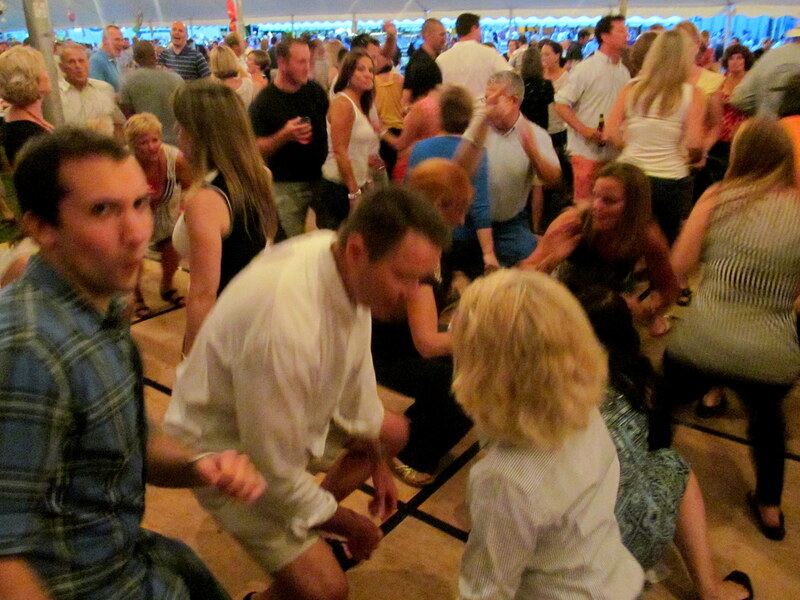 It’s a little hard to tear up the dance floor at my preferred level while feeling nauseous. But I still got some quality dance time in, fear not. The DJ was pretty good. He played a few too many rock songs for my taste, but did a good job of covering multiple genres. 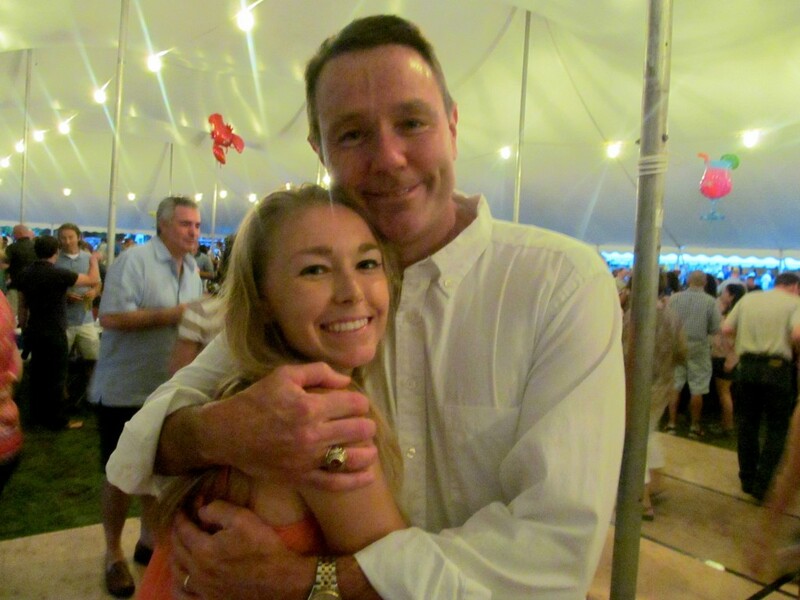 Love dancing with my dad! This was during Flo Rida “Low”…oh baby. I got a bit smiley! 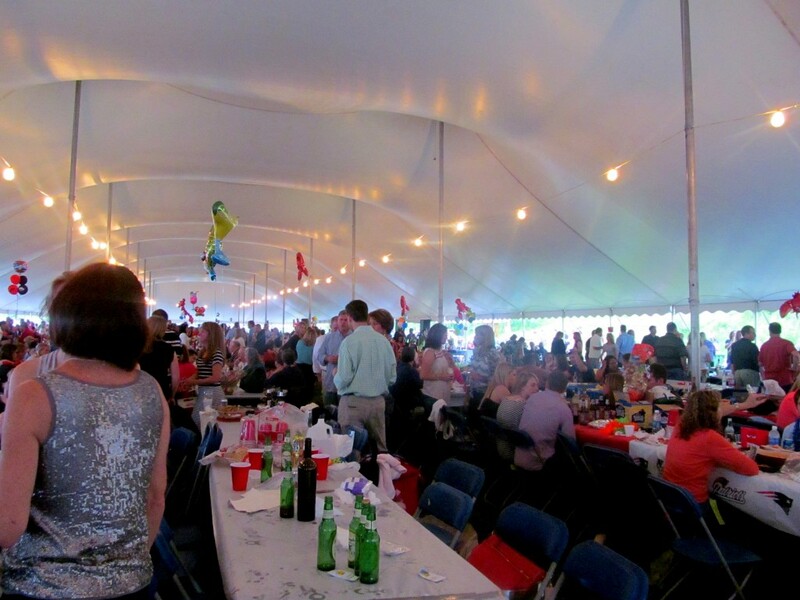 Overall LobsterFest was a blast as usual and huge props to Glastonbury Rotary Club for putting on another great party. 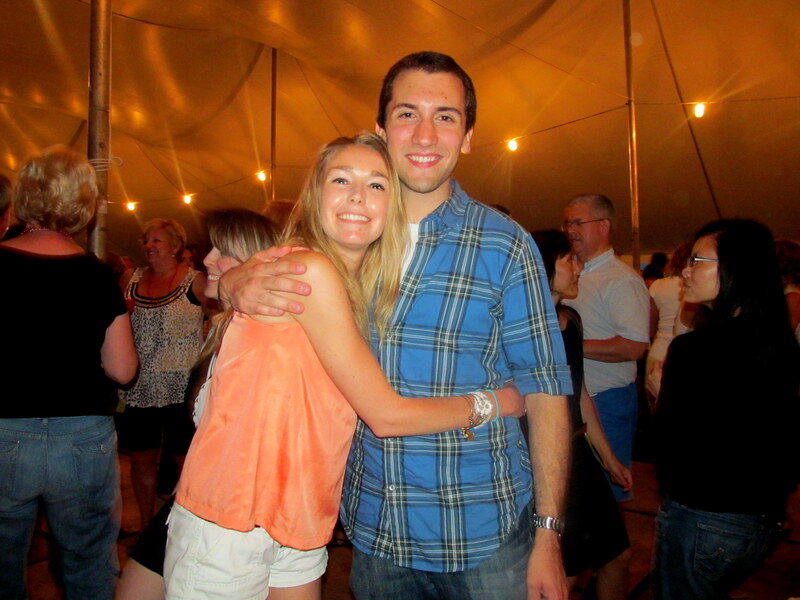 Next time I’ll know not to mix my spirits 😛 Here’s to keeping LobsterFest the most infamous, top event in Glastonbury! Does your town ever hold a summer festival like this? Do you have any go-to summer traditions you look forward to each year?